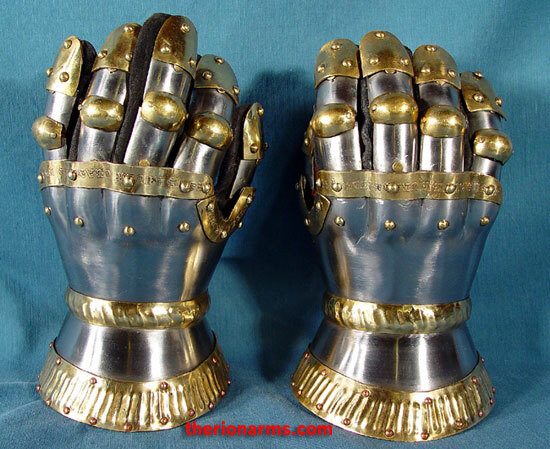 Milanese hourglass finger gauntlets, copied from a harness in the Churburg Armoury believed to have been made in Milan by armourers of the Missaglia family during the second half of the 14th century. 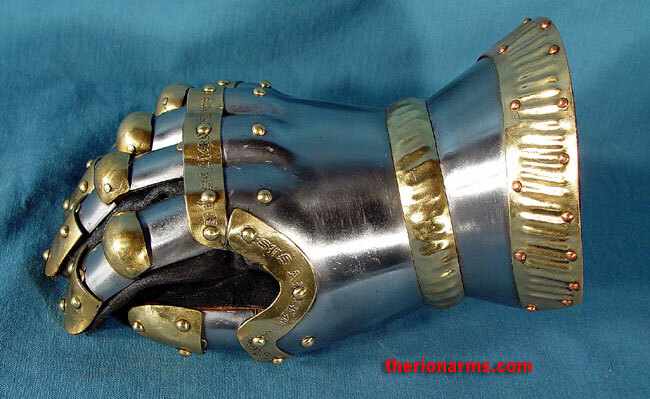 Made from 16 gauge steel with decorative etched brass accents. 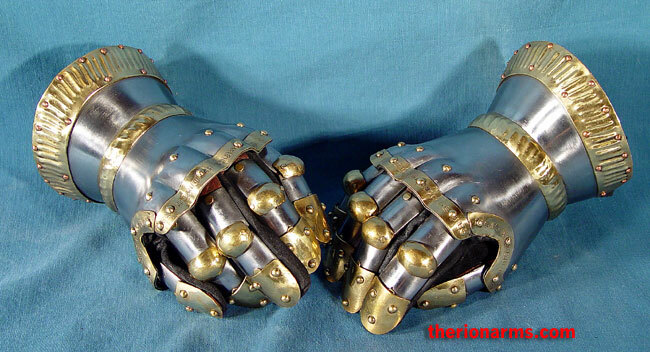 Gloves are included, but they're rather thin and I recommend that you replace them with thick leather work gloves. 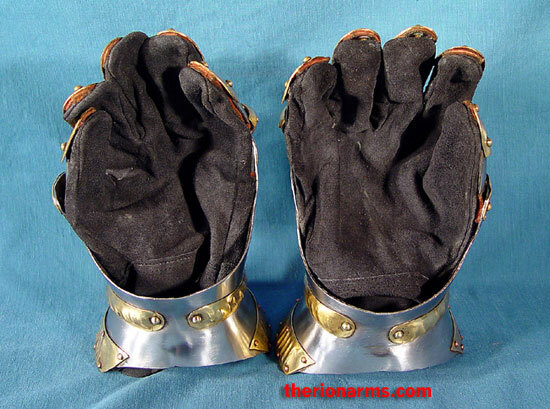 Current production runs have elongated leather tabs on the finger plates help facilitate glove replacement/reinforcement. 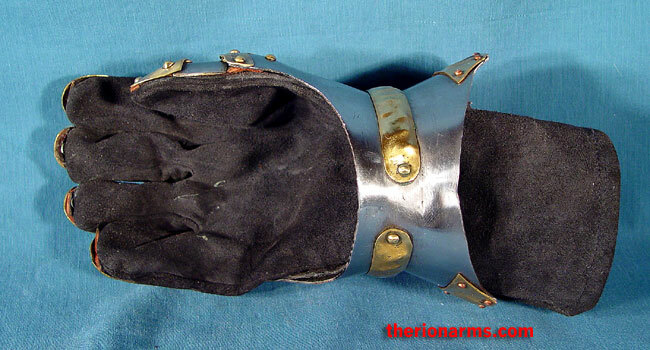 Cuff to knuckles height is 7", circumference around the outside of the brass wrist band is 12 1/2". 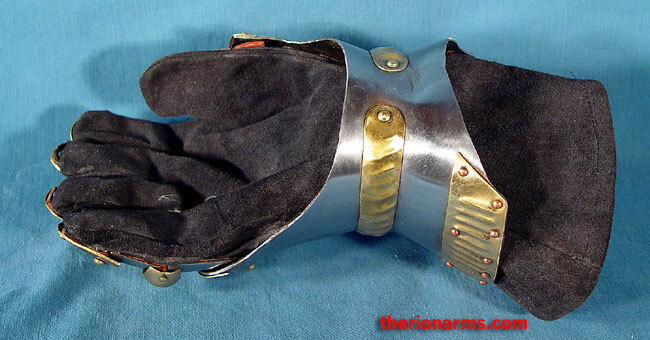 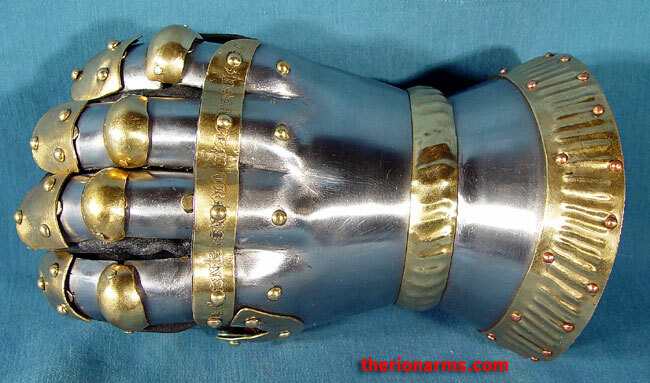 The gauntlets weigh about 2 lbs each. 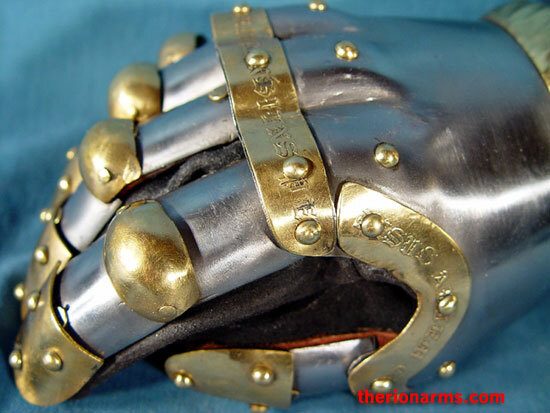 Made by GDFB - Get Dressed For Battle.